Live coding is an experimental way of creating music or visuals by real-time writing real-time code. 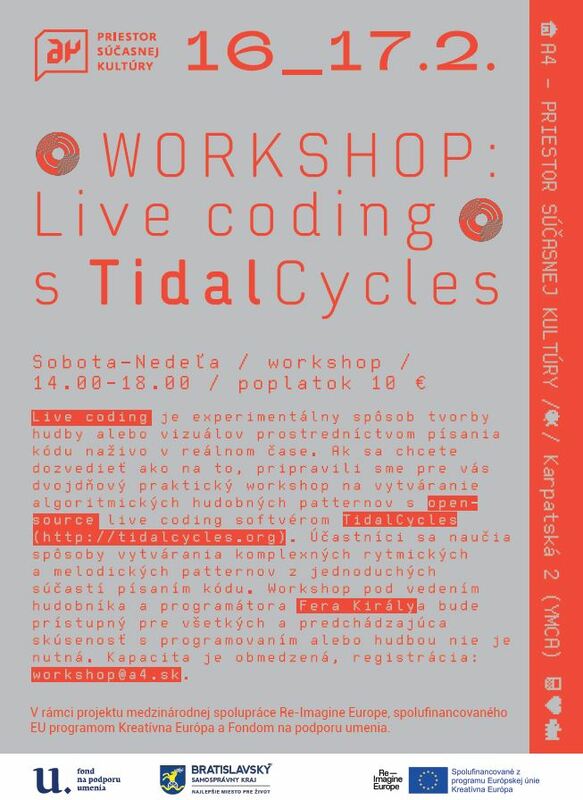 To learn how, A4 has prepared a two-day practical workshop for creating algorithmic music patterns with open-source live coding software TidalCycles. Participants will learn how to create complex rhythmical and melodic patterns from simple parts by writing code. The workshop is led by musician and programmer Fero Király. It is accessible to everyone — previous experience in programming or music is not necessary. Registration: workshop@a4.sk (capacity is limited).